The levels of lead in Pittsburgh’s drinking water are up again and exceed federal safety standards, the Pittsburgh Water and Sewer Authority [PWSA] said in a Friday press release detailing the latest test results. The most recent round of water testing ran from July to December 2018 and showed lead levels of 20 parts per billion [ppb] at the 90th percentile, exceeding Environmental Protection Agency [EPA] standards. The EPA sets an “action limit” of 15 ppb, meaning an agency like the PWSA has to mitigate lead contamination once that limit is exceeded. The PWSA, EPA and Pennsylvania Department of Environmental Protection use the 90th percentile to demonstrate the worst case scenario for a given round of lead tests — if 10 percent of the most lead contaminated water samples are above 15 ppb, action is needed. Due to a consent order PWSA signed with the DEP in November 2017, the authority is now required to replace 7 percent of its lead lines by June 30 because its lead levels exceed 15 ppb in the sample. Lead is a known neurotoxin. The EPA says consuming any amount of lead is unsafe. The PWSA’s latest lead level readings follow a dip in levels detected previously. Test data released in July 2018 showed lead levels had dropped to 10 ppb at the 90th percentile. Lead levels have fluctuated since June 2016 when PWSA resumed regular testing, which had ended in 2013. Orthophosphates are chemicals that would create a thin coating around the inside of water lines as water flows through. The chemicals are safe to drink and prevent lead from flaking off of the lead pipes. PWSA spokesperson Will Pickering said the authority wasn’t surprised by the most recent testing results. “We didn’t come into this round … thinking we’d have lower results,” he said, saying that lead levels have fluctuated in the past. Weimar added that residents can use PWSA’s online map to see if their home is connected to lead service lines and can request a free water testing kit from the authority. The most recent round of testing is based on 161 samples of homes known to have lead lines. Eighty-five percent of homes tested below 15 ppb while 15 percent — or 24 homes — tested above that threshold. The newest lead test results come amid continued questions over PWSA’s future. When the last round of test data was released in July 2018, Peoples Natural Gas was actively pursuing a bid to acquire control over PWSA water infrastructure. The company promised to build a new water treatment facility, pay off the authority’s debt and replace all water lines, in exchange for owning whatever it replaced. That plan fell through in the fall when Aqua America bought Peoples Gas for $4.3 billion. At a Jan. 3 press briefing, Pittsburgh Mayor Bill Peduto said Aqua America wanted to privatize PWSA but that the city wasn’t interested in its plan. Peduto said he hadn’t abandoned the idea of a private company taking control of part or all of PWSA through a public-private partnership arrangement but said that neither the authority nor its infrastructure would be taken over wholesale. “That doesn't mean a private company comes in and says, 'We'll take it all over.' We've taken that out of the equation. We're not looking to privatize the water department,” he told reporters. 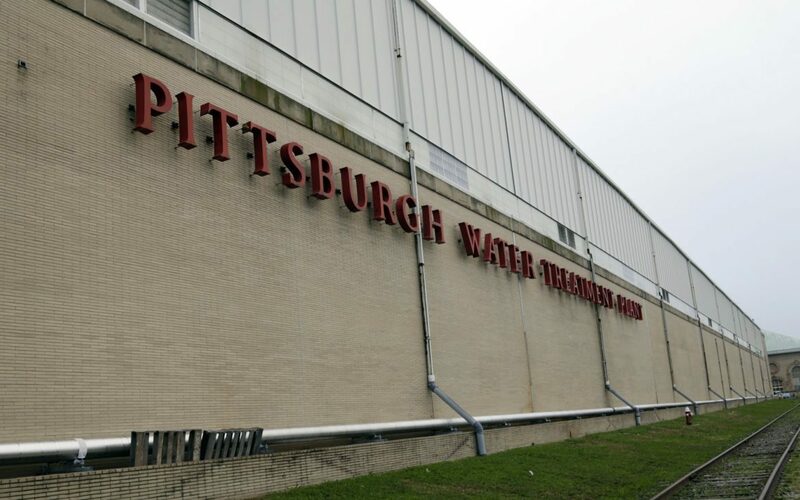 At the Jan. 3 briefing, Peduto pitched the idea of possibly having an engineering firm take over the authority’s water filtration system to provide better quality water at a cheaper price using renewable energy. “If that’s the case why wouldn’t we look at that?” he said. He also pitched the idea of PWSA hiring a private company to better manage its green infrastructure projects. The city and PWSA would make joint solicitations for any such work, Peduto said. 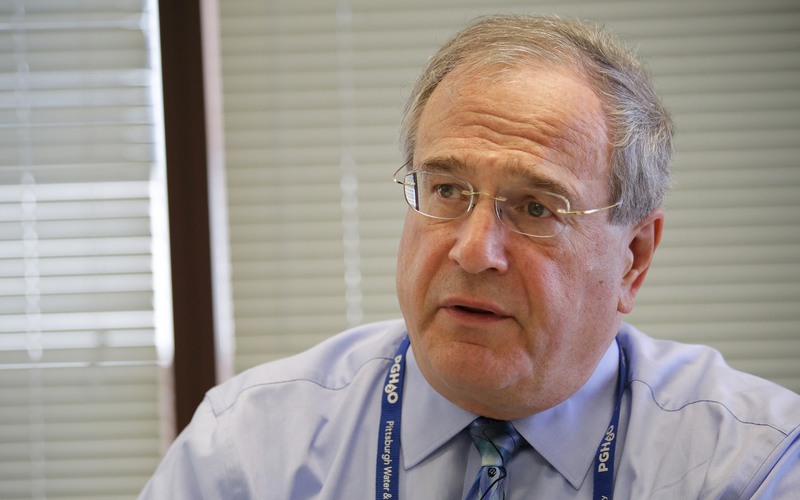 Though Weimar had hoped to introduce orthophosphates in 2018, PWSA spokesman Will Pickering said the state’s regulatory process has slowed his timeline. Pickering said the authority is working to get local construction approvals to build an associated structure in Highland Park and should introduce the orthophosphates by March or April. Meanwhile, PWSA has focused on reducing the number of lead lines in the city, replacing 2,047 public lines and 1,315 private lines in 2018, at a total cost of $40 million. Pickering said PWSA has $49 million budgeted this year for that task and plans to replace 3,400 public lines and 2,800 private lines. Aside from a bigger budget for line replacements this year, which is made up of a grant and a loan from the state, the increase in expected line replacements is due to bids coming in cheaper than expected from contractors, Pickering said. In addition to checking online to see if your lines are affected and ordering testing kits, PWSA also recommends residents flush their faucets and use cold water for cooking and preparing baby formula.